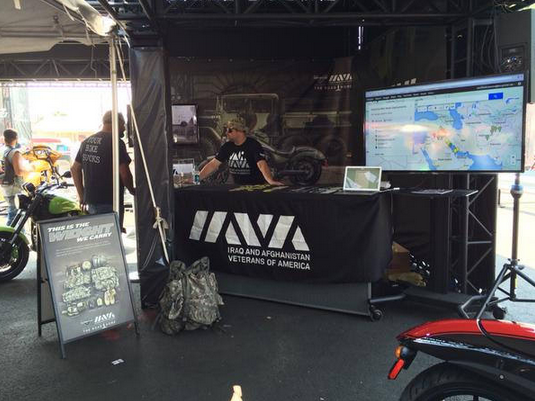 Why on earth would a “well-seasoned” IAVA member with no motorcycle license travel all over the country to Daytona Bike Week, Rolling Thunder in DC and Sturgis? Why hang out in the heat and ear splitting roar of modified motorcycles on a dyno when you can’t even try one out at the demo rides? There are actually a few very good reasons. 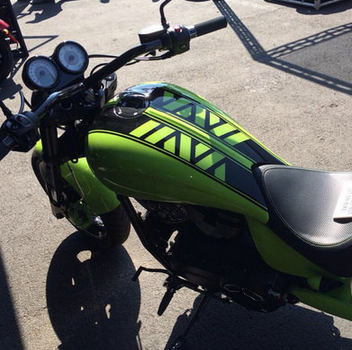 Victory Motorcycles came on board as an IAVA partner in 2014. Their financial support has been significant to say the least – they gave $500 for every Victory Motorcycle sold in November and December 2014. 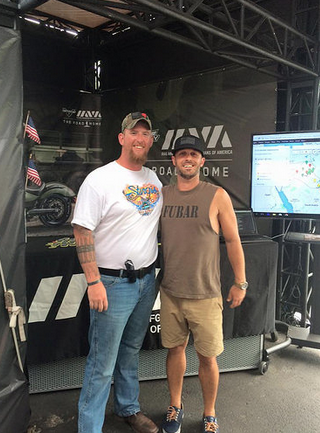 Victory’s “The Road Home” program with IAVA is a perfect analogy for our mission. This doesn’t even answer why I love spending time around machines I can’t even ride. It’s easy really – the people. The entire Victory staff has been incredibly supportive of our generation of veterans and their desire to be involved is noticeably genuine and real. The biker community is one that is predisposed to support veterans. However, many people including the biker community are unaware of the issues our veterans are facing. This is why this partnership’s value goes beyond the financial support. In Sturgis I was handed a microphone during the break between the police demonstration and the stunt show. I was able to tell about IAVA’s work on education benefits and reducing the disability claim backlog. I also told them about one of IAVA’s proudest moments, the passage of the Clay Hunt SAV Act and that there is still a ton of work to do. Most importantly, I was able to tell hundreds of people at a time that 22 veterans still die by suicide every day. The impact of actually hearing those words and that number was visible as I looked out at a crowd composed of couples, grizzled bikers, younger riders and even families. One person whom I know to have a good heart and cares deeply about veterans came to me and told me she had no idea until she heard those words. She was emotional and apologetic for not knowing and I told her it was ok – that is why I was there; to tell people who care but may not know about this ongoing tragedy. 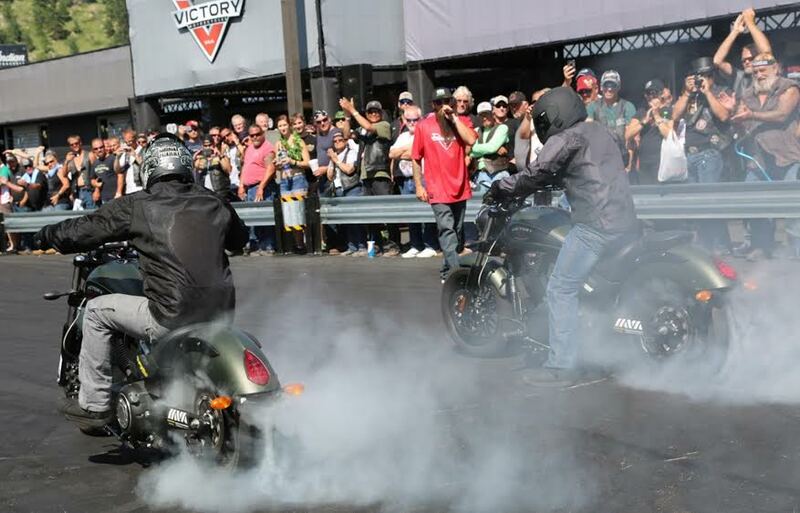 I told that story at least a dozen times during the week I spent with Victory at the Sturgis Rally. I will always be grateful to Victory for providing the opportunity and platform to share. Even though I cannot ride one of Victory’s awesome machines right now, I cannot tell you how much I appreciate them and the numerous Polaris, Victory’s parent company, employees I’ve met who are 100% behind this partnership. If you are looking to experience some two wheeled fun, you owe it to yourself to go to your local Victory dealer to take a look. I know I am as soon as I get an (M) endorsement on my license.